Looking TO BUY A Cartridge for a Technics SL 1210. 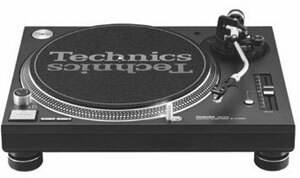 I also have a Technics 1800 TT, which seems to be a less fancy version of the 1200 series. If possible I would like to mount the cartridge on a headshell and simply detach and reattach the headshell/cartridge when changing turntables. Hopefully all of the alignments will be ok between TTs. I also have an Ortofon Blue on a Project TT. However, there is no headshell, and it cannot be moved without complete removal of cartridge. I am happy with the sound. Currently all 3 TTs are in my small studio apt in the DC area. I would like to bring 1 TT back to NOLA by Mardi Gras. The Technics TTs came with many lower end cartridges, and the 2 TTs sound very similar. I use a Project Tube Box DS phono preamp. If someone has an appropriate cartridge (s) for sale, I am all ears. I am trying not to spend over $400 on this. I recently missed out on a 150MLX NOS for under $300. Over the summer there were some very helpful responses to my Qs about which one to buy. Thank you to the Forum members. Many, many choices out there. But I am thinking not to get a Shure nor a Denon 103 nor 110. Over 90% of my vinyl is used and I fear that an Ortofon Black or similar ?fine line stylus might lead to way too many pops and cracks on my lesser quality records. your needs....budget or sound wise .. The tonearm database link seems to be for setup, not for compliance, unless I missed something. But thx for the link regardless. I do have an overhang tool. ?52mm? I have very little knowledge via the net regarding a Denon 103r and no personal experience. There seemed to be more info re the Ortofons and ATs and the pricing seemed to be within my ballpark. Are these the Zu Audio retips or originals? I think the higher quality Zu Audio ones were tough to find and quite pricey. If I wrong, please feel free to educate or correct me. I'm not asking a lot, the specs are there for you to see if it would work. Any questions... hit me up! Thx re the Silver. But I am likely looking for a Bronze over a Blue or a Silver. Cool. Their Bronze is a line contact like I prefer also! I can always keep it as a back-up "just in case". Hasn't been any interest and the thing is better than the red for half the price. compliance = tonearm mass...high , med , and low compliance . I have used a Denon DL160 on a technics arm and it sounded terrible until I added the weight. Check Vinyl engine. Here is a spreadhseet that I made with some arms and carts that I have used. Wow, TWKH, quite an effort !! Unfortunately, though this will likely help others, I do not know what to do with it. But I will try to figure the calculations from the V E website calculator. I also found another place where the impedance of the wiring was part of the calculations needed for my Tube Box DS settings. All in all, this seemed quite complicated. In the end, one reply indicated that it was ok to mess around with the phono amp settings to find a pleasing sound. I have also called tech support for the Pro Ject phono amp and the man on the phone was quite nice. @nola I think I have a Grado G2 mounted in a headshell which went on an old Technics TT, but I'm not sure what I have. My recollection is it was mounted on an S type type arm. I haven't looked at it for years but I think I know where it is. I'll dig it out if you think it might fit your application, let me know. I think all the cartridges I listed should be ok on a Technics 1200 series or similar S shaped tonearm. I have no idea about the capacitance of the internal wiring and any external RCA cables (2 sets, into and from the phono preamp). There appear to be a few web postings that adjustments at the level of the phono preamp can also alter and perhaps improve the overall sound of the system. These postings suggest that we should let our ears decide what sounds good to us, even if the values run different to manufacturer suggestions. Many postings urging very careful alignments etc as part of set up as well. Suffice it to say that these calculations are useful where and the input data is available. But if your possible set up is outside the acceptable range (?9-11? ), does additional weighting of the headshell or rear tonearm weight dial allow for suitable adjustments? I have also taken a look at info regarding the AT OC9 ii and iii. These are Low Output MCs that should work with my Tube Box DS pre amp. Several postings that they sounded better than the AT 150MLX MM. Both of the OC9's are at or below $500 which is definitely a hard limit for me. It also limits me because I might need a second pre amp for the MC cartridge (1 for the DC area and 1 for New Orleans, assuming I carry the MC and headshell between locations). I have a low end MM usable preamp in NOLA, but it will not work with a MC. As for the Grado G2, I could not find much info on it. I assume it is at least 30 years old. Perhaps it might also need a stylus replacement, if they are still stocked. I could not find a review of it, but web postings suggest it was well thought of in the past. So yes, I might be interested. Thank you. I like that preamp @nola that's what I've got now too. Sweet sounding huh? I don't quite get the difference with the samarium cobalt in the micro line AT-OC9ML/II and the neodymium magnet in the "special line" AT-OC9/III. The cobalt magnet is described as brittle when I looked it up, but not sure if the "wear and tear" of tracking an lp constitutes a threat to those magnets. Got an AT33PTG coming for my first moving coil cart. Armed with a tt that has all the adjustments offered this time I don't think this will go bad like when I tried the 150MLX a year ago on the old tt without VTA adjust available. It will probably take longer than ten minutes to set up though. it's the standard 1/2 inch mount.. It seems to me it was a well regarded cart in it's day. Not TOTL but pretty good. I think it is new in box, so new cart, new stylus. I might have bought a couple of them, one to use and one as a backup. I'll dig it out and post some pics. If you decide you can use it I'll make you an offer you can't refuse. EDIT: @nolaI found the Grado in a jewel case. I can't count all the mis-information I gave you. First of all the cart is a Grado GL and it's used. The needle isn't worn, it looks like it's been broken off. I have no clue how that happened. It's screw mounted in an adjustable shell that says ADC. I have no idea what ADC is. It plugs in via a round barrel with a small metal peg on top, 4 contacts. The turntable was not a Technics but a JVC, a very basic model I'm sure. Mounted in the JVC is an integrated one-piece blue headshell w/cart that says Stanton iTS and iTrack. I can't tell how much wear is on the needle but at least it's not broken off like the Grado. I have a spare needle for it but it doesn't look good to my untrained eyes. What a high pressure salesperson you're not Dave, @wvu80. There's no real hurry. NOLA won't need a cartridge until he receives the Cyastat SN I'm sending, and then mixes up a batch of Reg Williamson PVA facial. This is is not a thread hi-jack, but more of a slight diversion, as NOLA did just request some Cyastat. Dave do you spin vinyl? If so, would you like some Cyastat? If so, I'll send some as repayment for those banana plug adapters you sent me for my friend's h/k 730. The turntable was not a Technics but a JVC, a very basic model I'm sure. Mounted in the JVC is an integrated one-piece blue headshell w/cart that says Stanton iTS and iTrack. I can't tell how much wear is on the needle but at least it's not broken off like the Grado. I have a spare needle for it but it doesn't good to my untrained eyes. you can make offers that I can't refuse too !